It's a familiar move to tell people that your food is better than your competitors. It's usually pretty easy to ignore those claims, not knowing where they came from or whether your tastes align with the "majority" they're talking about. Crash won an Oscar for Best Picture, how perfect could majority opinion possibly be? "The proof is in the pizza," said Laura Szeliga, chief marketing officer at Papa Murphy's. 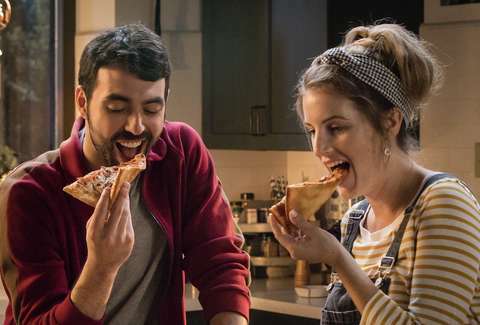 "We’re so confident that our fresh-from-your-oven pizza is the best that we are inviting everyone to ‘Bake It Up A Notch’ and discover their new go-to pizza." The process is simple. Text "FREEPIZZA" to 90421. It'll ask a couple of questions, and then you'll get a code for a free pizza. The promotion lasts until January 27 or until they've doled out 100,000 pies, whichever comes first. The code is good for one large regular-menu pizza with up to five toppings. That means no specialty pizzas like XLNY or FAVES. Once you claim a pizza, you have signed up for Papa Murphy's text alert service that sends you discount codes. However, it's easy enough to stop those from coming. Simply text "STOP" to the number that's sending you the messages. It's like you never even texted a mystery number to score a free dinner. That's it. You don't have to buy anything or do anything particularly special, except throw it in the oven because you do have to cook it yourself.